3105 aluminum strip/coil with 98% pure aluminum and slight alloy additions for strength. 0.3% of copper is added to 3105 aluminum strip/coil, so the conductivity turns out to be 41%. 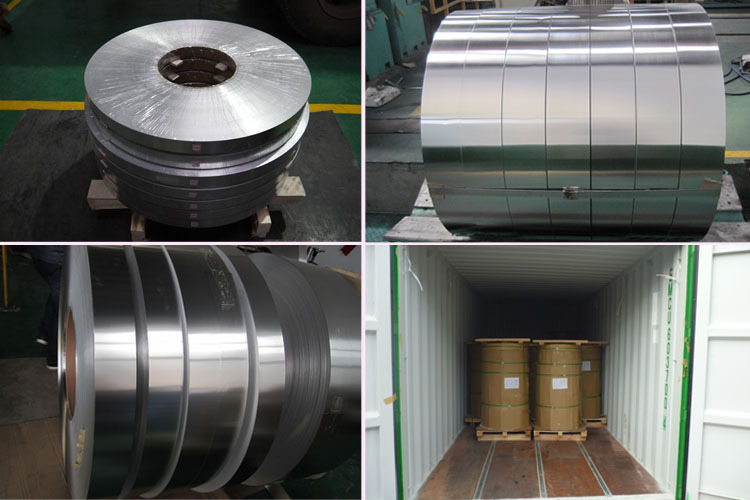 For its contents and processing technologies, 3105 aluminum sheet/coil is light in weight and it has semi-smooth surface. Besides, it is not hardened by heat treatment. Mg, Mn and Si are added to 3105 aluminum strip, thus, it has excellent correction resistance, formability and welding characteristics. Besides, it has average mechinability and it can be increased in harder tempers than in annealed condition. Oil lubricants should be used for all machining operations. The forming characteristics of 3105 aluminum strip/coil are pretty good by all conventional processes regardless of temper. But 3105 aluminum strip/coil does not respond to heat treatment except for annealing during cold working. The cold working characteristics are very good, even in the harder cold working tempers. For all the features above, 3105 aluminum strip/coil has a vast application in many field. Aluminum strip products of haomei . meet the export standard. Plastic film and brown paper can be covered at customers’ need. What’s more, wooden case or wooden pallet is adopted to protect products from damage during the delivery. There are two kinds of packaging, which is eye to wall or eye to sky. Customers can choose either of them for their convenience. Generally speaking, there are 2 tons in one package, and loading 18-22 tons in 1×20′ container, and 20-24 tons in 1×40′ container.